The Indian Institute of Management Udaipur (IIMU) kicked off its flagship event, The Leadership Summit 2012 with great fanfare. It was inaugurated by Maharaj Kumar Lakshyaraj Singhji Mewar, the son of the King of Mewar Arvind Singhji in the exquisite Durbar Hall of the City Palace, Udaipur. 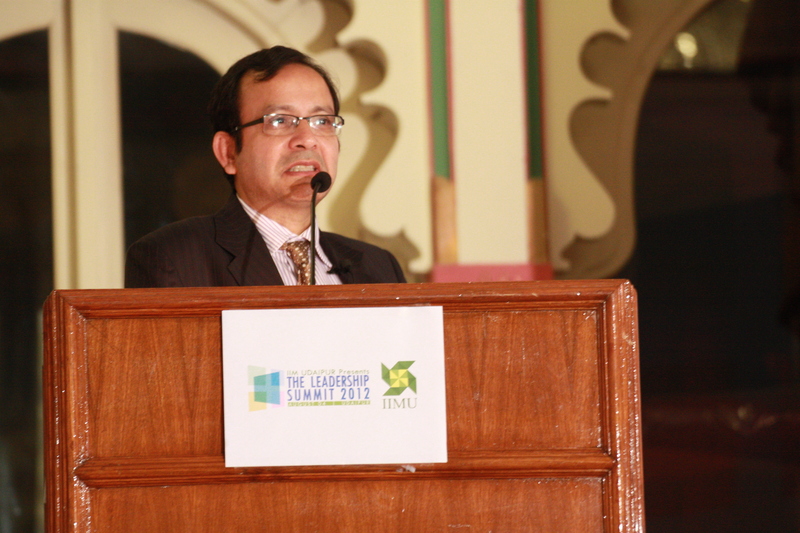 Professor Janat Shah, Director IIMU, initiated the proceedings with a few welcoming words. He talked about development of an organization is a long journey and the key aspects to its success was creating knowledge and an environment for sharing it. He then talked about the PGP-M as a transformation journey and how the participants are encouraged to make a difference to the society and give back to Udaipur. To the organizers, he referred to the event as a leadership execution example wherein the entire event was organized by the students. Maharaj Kumar Lakshyaraj Singhji Mewar addressed the gathering and stressed on the importance of being a good human being, which set the stage for success in everything one does in life. Mr Pradeep Kashyap, CEO, MART & President, Rural Marketing Association of India set the tone for the event with a keynote speech on innovation and execution and the need for “Business minds with a social cause”. He talked about the concept of “75% performance at 50% price” in the Indian context, stressing on the fact that it requires a bottoms-up approach towards a community co- creation process. 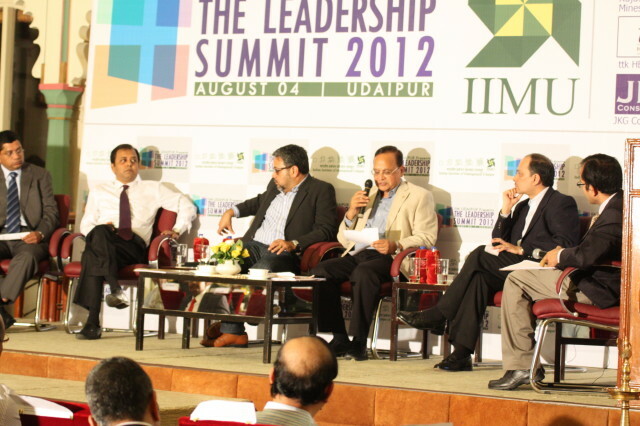 The theme of the first panel discussion was ‘Making India an Innovation Hub’. The illustrious panel comprising Mr. Debashis Poddar, CEO, Bombay Dyeing; Mr. Ganesan Ramachandran, Partner, Accenture Management Consulting; Mr. Kaushik Roy, President, Brand Strategy and Marketing, Reliance India Ltd. and Mr. Sudarshan Jain, MD, Healthcare Solutions, Abbott Healthcare Pvt. Ltd, and Dr. Sudhakar Potukuchi, Head, India Innovation Center, Eaton India deliberated the topic on the floor. Mr. Debasis Poddar spoke on innovation as a means of survival and defined it as “the successful exploitation of a new idea”. He illustrated the concept of innovation through various examples in the Indian context. To this input, Mr. Ganesan stressed on reverse innovation and the five requirements of innovation. He also mentioned that though Indians are good at service innovation, they lack product innovation and should pursue that through frugal innovation. Potukuchi gave an interesting outlook to innovation, stating that “Fresh thinking creates value” and stressed on the importance of the ecosystem, which is crucial to foster innovation. If the innovation does not make money, then it is not useful. 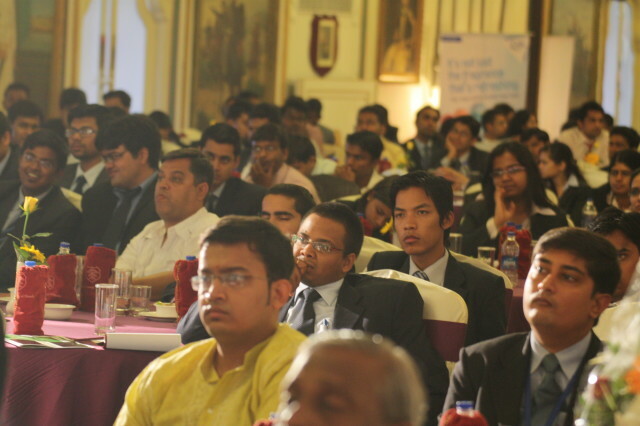 This concluded the first half of the event paving way for the second theme, ‘Execution Excellence’. After a sumptuous lunch, the second panel discussion kicked off at 3.30 pm. The topic under discussion was ‘Execution Excellence’. The panelists who shared their perspectives were Mr. Deepak Dheer, Ex-MD, and Advisor to Mahindra Forgings; Mr. Dhamodaran Ramakrishnan, Director, Smarter Planet Solutions at IBM India; Mr. Dilep Misra, President, Corporate HR, J.K. Group; Maj. Gen. P.R. Shankar, Additional Director General, Directorate Artillery, Indian Army; and Mr. Thomas Kuruvilla, MD, Middle East, Arthur D. Little. grassroots level they do a better job. The audience comprising students and faculty of IIMU along with various dignitaries and entrepreneurs from Udaipur added colour to the discussion with their probing questions. Questions ranging from innovation in the developmental activities, to innovation in the pharmaceutical industry and the spectrum of volatility and repeatability in the context of innovation, were put forward by the students. Questions about how India can stop procrastinating execution till the last minute and how it can create a single unified vision were addressed by the panel and the keynote speaker. The unique insights obtained today would help all the attendees, especially students, feel the pulse of India today and understand the direction in which our country is headed. 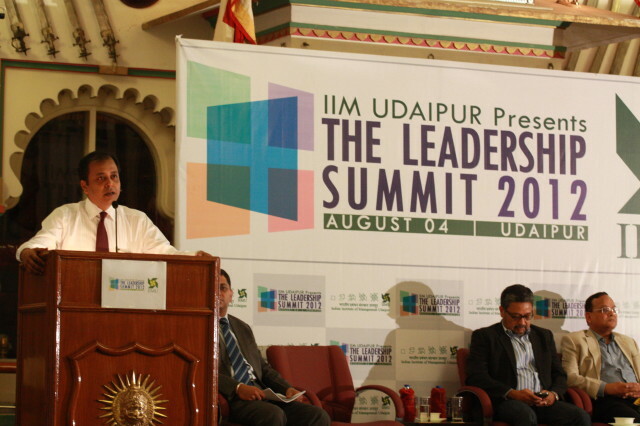 The event was telecast live online on the website of the leadership Summit http://ls.iimu.ac.in.